Unconsciously we seem to look for things to criticize ourselves for. 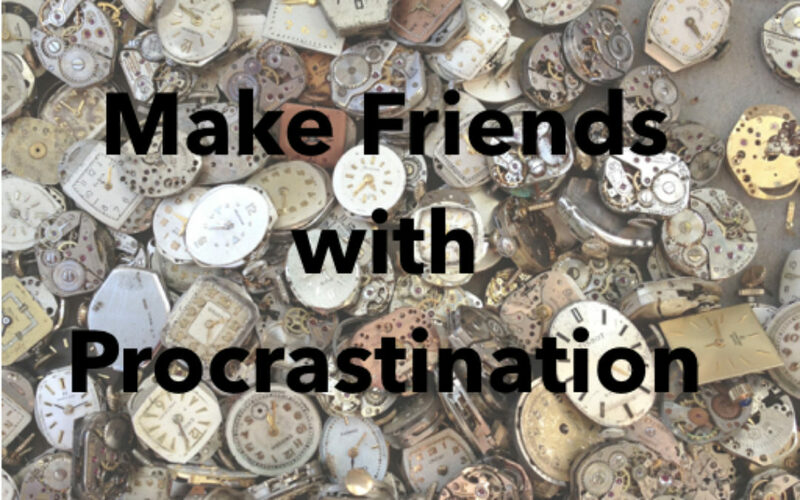 Instead of beating ourselves up over things that we haven’t done, let’s make friends with procrastination. #2 Look at the list and see what you can take off. We are constantly changing. Do you really want to take art classes, or is that something you wanted to do 20 years ago and you have come to realize that you don’t need to take a class to create art. #3 What is on the list that you can do right now and will only take a few minutes. Motivation is fed by the feelings of Accomplishment. #4 What do you have anxiety about doing? It may be a “hard” conversation with someone or the overwhelm of a junk room or garage. #5 Take a meditative moment, breathing deeply and ask Spirit or Your Higher Self what is the best way to handle this. We tend to hold on to hurt feelings and/or overcomplicate tasks. There are answers that we had never thought about, waiting for our asking. #6 What on the list most effects your daily life, emotionally or physically? #7 Take Action! Instead of feeling overwhelmed by the size of a project commit to spending15 minutes daily on one thing. #8 Be creative! We are creative beings, think out of the box. Do you really need to have a difficult conversation, or can you just forgive them internally and call and say I love you? Do you really need to clean out that cabinet or would it be better to get rid of the cabinet and all it’s contents? #9 Believe in abundance! The Universe is an expansive space and so are we. As we give, we receive. As we let go of, we get. #10 Feel yourself untethered and free. Let Go!